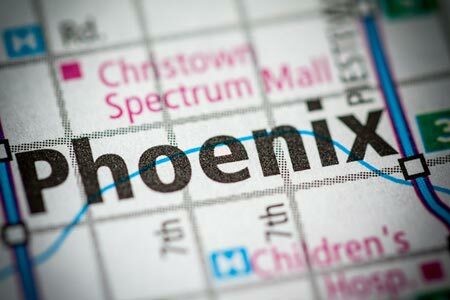 Phoenix, Arizona—A young girl was struck and killed while crossing a street with her grandmother while leaving a local carnival at St. Louis the King School on Saturday night. Melissa Cabrera (better known to her friends and family as Briana), age 6, and her grandmother, age 47, were crossing 43rd Avenue when they were both struck by someone driving northbound in a blue or silver Nissan Altima. The crash was witnessed by Briana's classmates and teachers at St. Louis the King School, where she attended classes. The two victims were transported to local hospital for treatment of their injuries. Melissa, better known to her friends and family as Briana, did not survive. Her grandmother’s injuries are non-life-threatening. The suspect vehicle was last seen driving west on Maryland Avenue. Witnesses described the car as missing a driver’s side mirror and having damage to the front left panel. Police are urging anyone with information about the accident to call Silent Witness at 480-WITNESS. We extend our condolences to the family and friends of Melissa over this tragic loss and we wish her grandmother a swift and complete recovery.